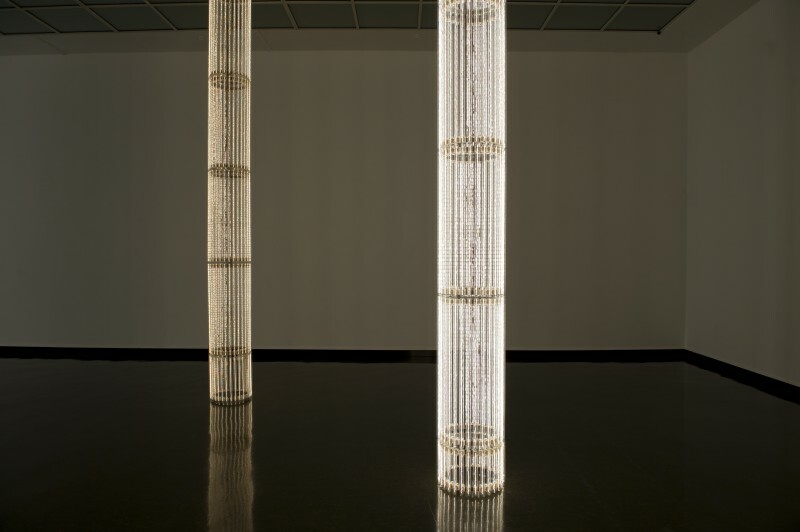 With a background in experimental film and video art in the 1980s, he has primarily worked since the 1990s with spectacular installations where a number of media such as sculpture, photography, film, text, light and sound form natural elements. 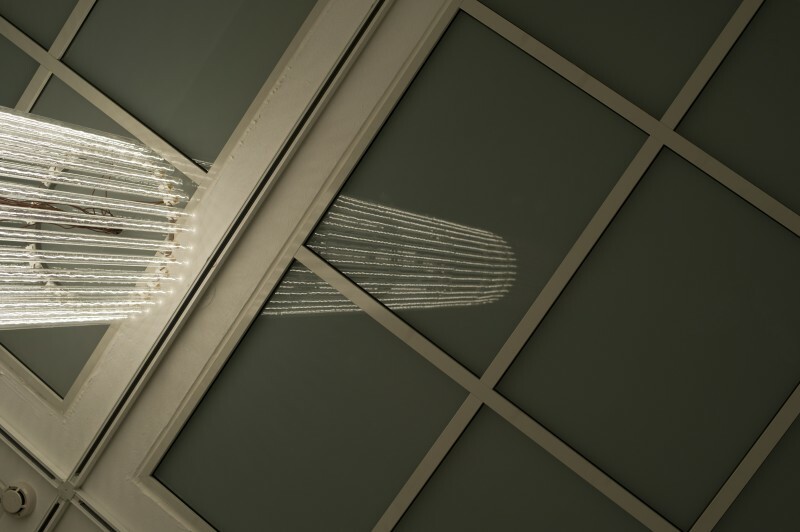 To describe Wyn Evans’ works as ‘spectacular’ means that they represent a far more indefinable form of communication than we associate (because of their use of similarly seductive devices) with the media and advertising world. 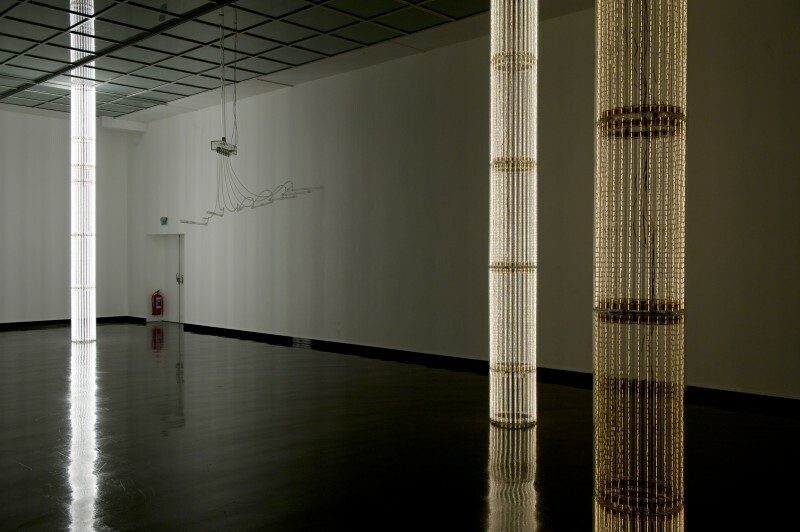 Instead of simple messages and the devices of rhetorical persuasion, Wyn Evans confronts us with a labyrinth of meaning-levels that often confuse more than they clarify. Rather, the spectacular takes the form of something that many people have described with almost religious concepts: epiphany, invocation or spiritualist seance. 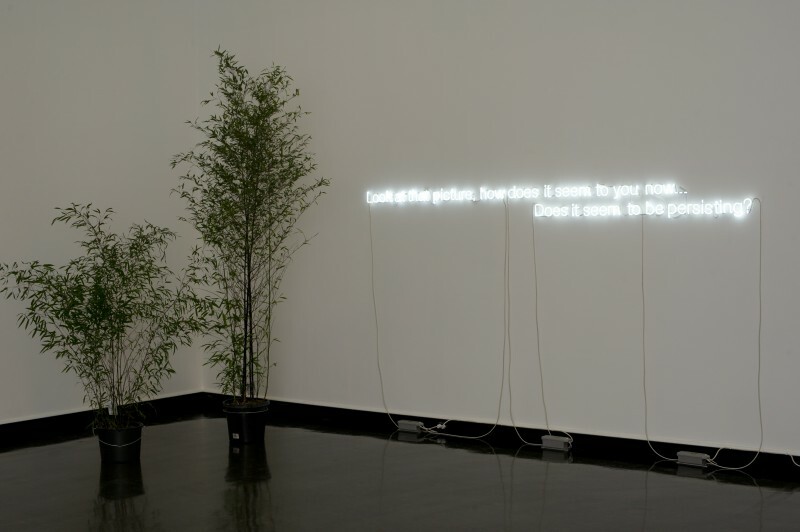 “They [the works] are symbolic gestures that summon you to a meeting in a society where the living meet those not yet born and those who are no longer among us,” writes Jan Verwoert in a text about the artist. 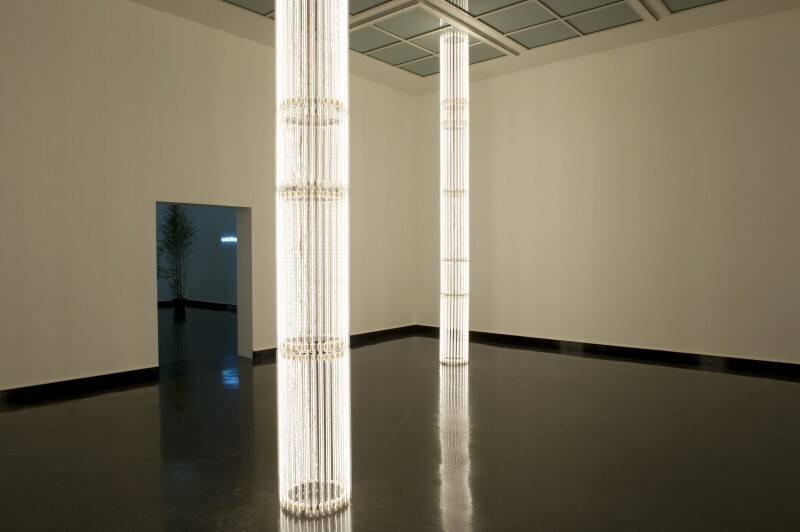 Cerith Wyn Evans’ exhibitions usually consist of a precise combination of disparate materials and objects, where the actual materiality of the individual items is hard to define and is painstakingly composed. 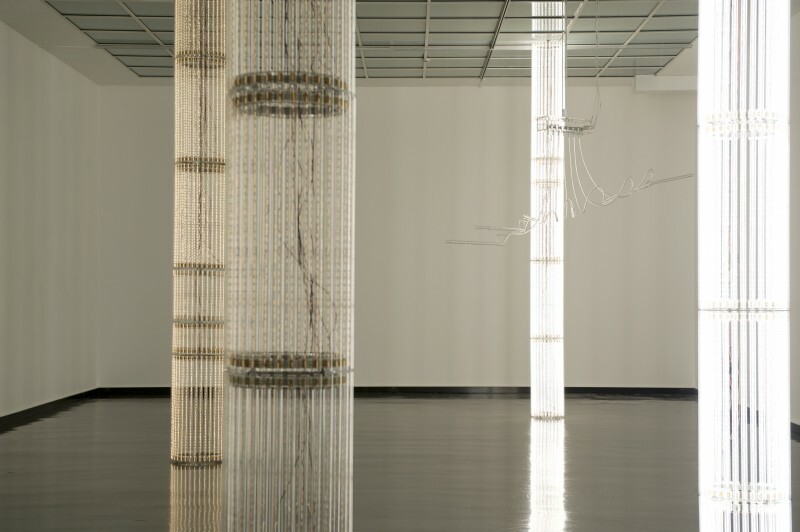 But the installations can at the same time be seen as attempts to dissolve the solidity of the material structures. 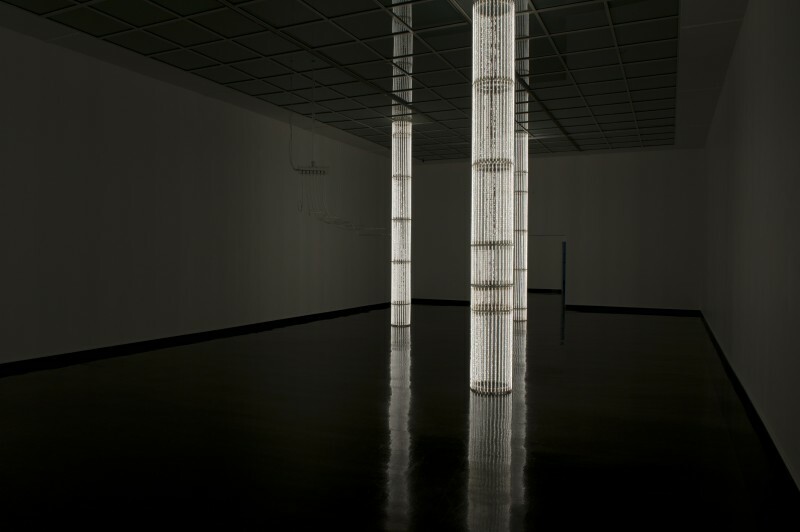 Using resources like light, mirrors or sounds, Wyn Evans creates an experience of immateriality and weightlessness. 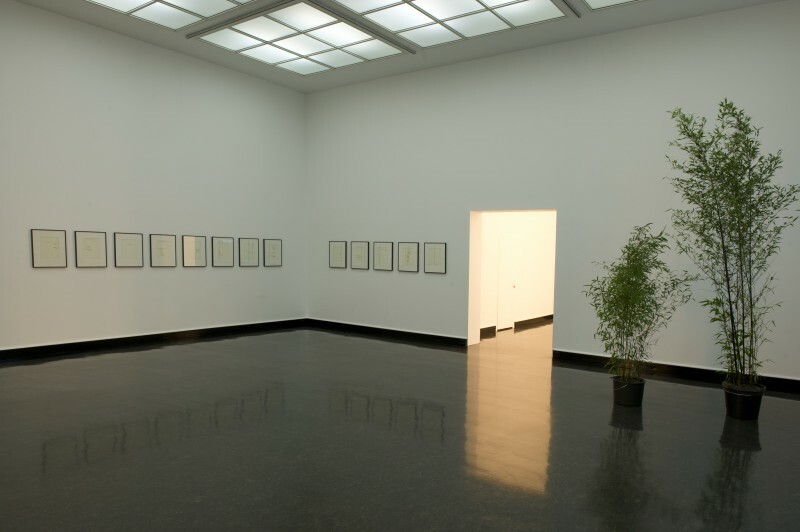 At Bergen Kunsthall the artist lets the specificity of the spaces form the point of departure for an integrated installation which fills all four exhibition halls. 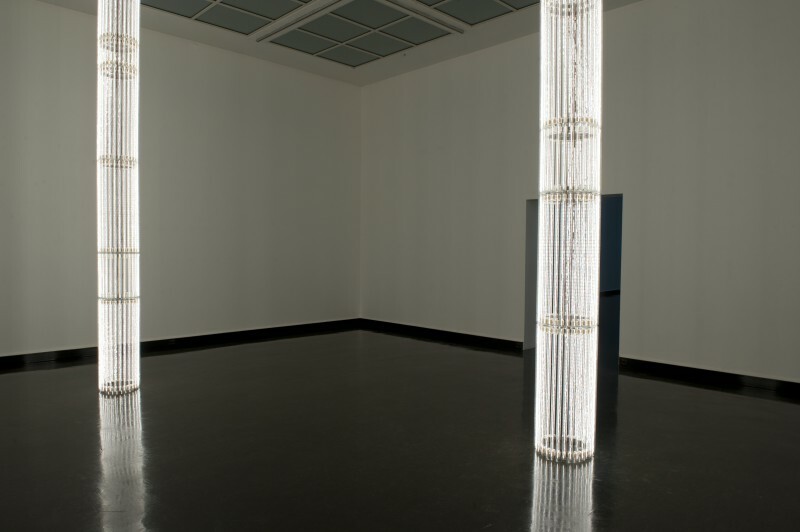 With effects like light and sound, he explores the long stretch and the strict symmetry along the axis of adjacent rooms that is so characteristic of Bergen Kunsthall’s exhibition architecture. 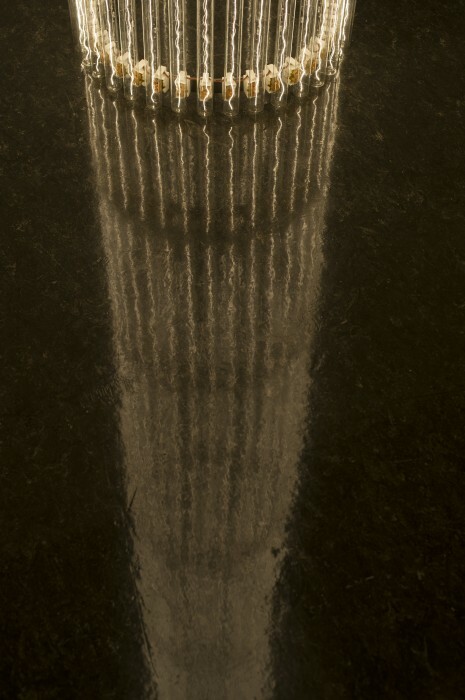 The work with proportions is a central foundation in Wyn Evans’ art. At Bergen Kunsthall the experience of the vertical is underscored by a row of specially constructed columns which stress the dimensions of the space from floor to roof. 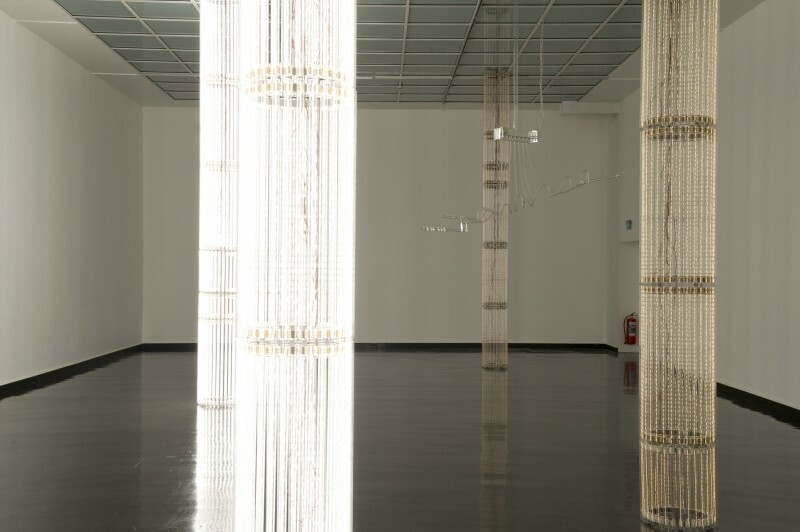 The columns have been built with a large number of fluorescent tubes where old-fashioned filament technology also emits heat – thus making the temperature one of the exhibition’s central elements. 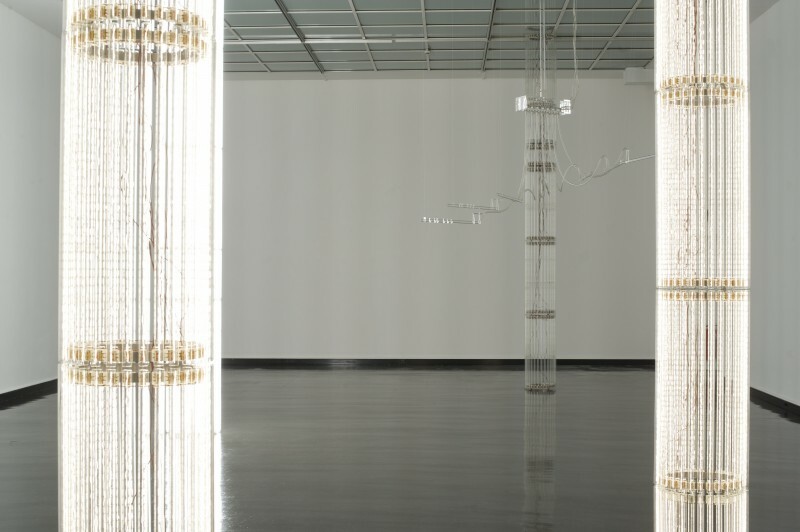 Non-material but sensory qualities like light, heat and sound also help to link the four exhibition halls in an experience of horizontality – a totalizing extended spatiality from the smallest to the largest hall. 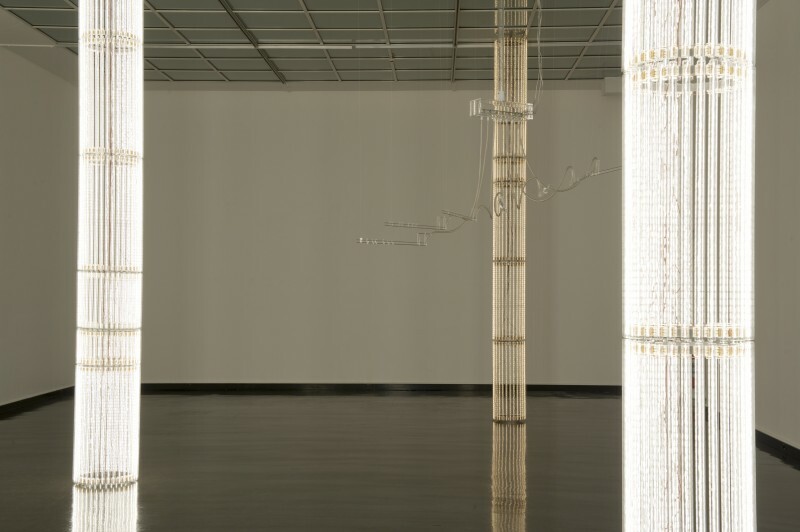 The sound from several transparent flute sculptures also helps to emphasize the horizontal linkage between all the rooms, and fills the whole sequence of exhibition spaces with sound. 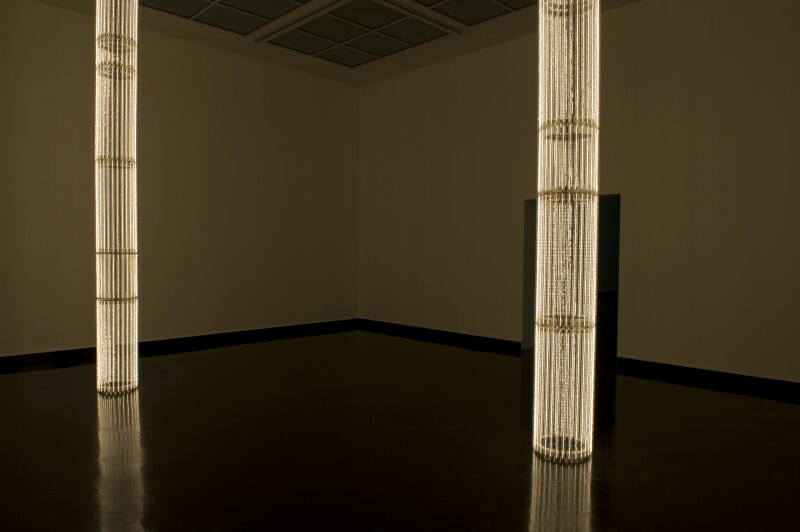 Like the category of spatiality, temporality too is crucial to the way Wyn Evans builds up his installations. 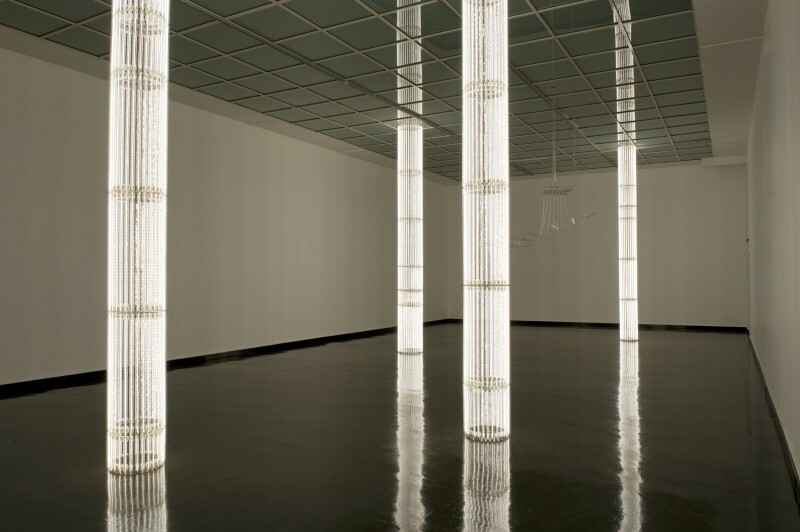 The light columns in the exhibition pulsate quietly between high and low intensity, from completely ‘off’ to full brightness, in a rhythmic pattern that supports the experience of time. 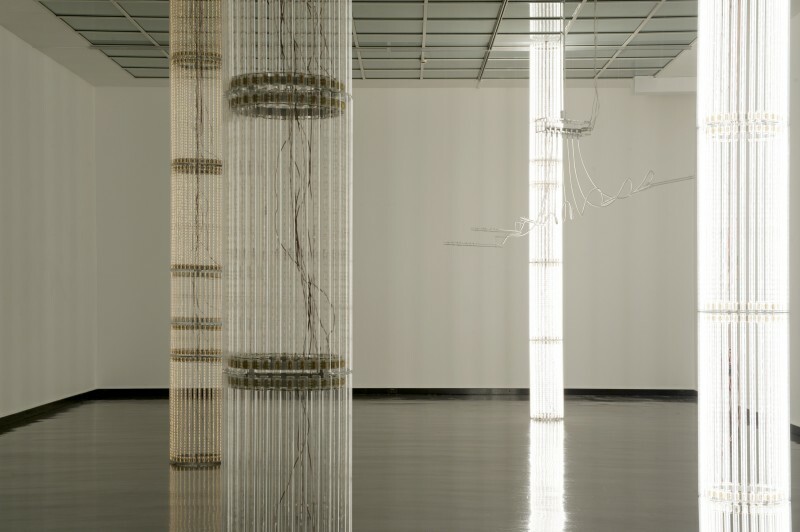 Wyn Evans combines the experience of space with installations which at the same time can only be experienced over time. 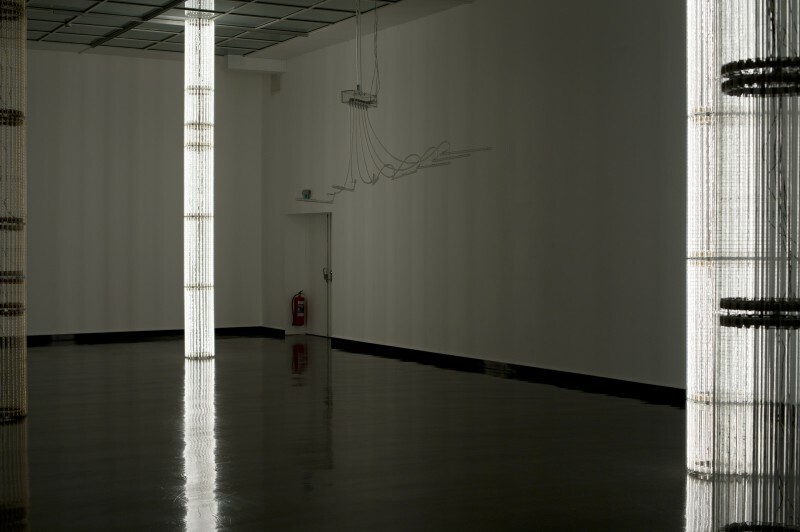 The proportions of the space are accentuated not only by the formal devices, but also by the temporal ones: as a viewer one becomes part of a scenario that is played out over time in quite specific ways. Space becomes time and time becomes space. 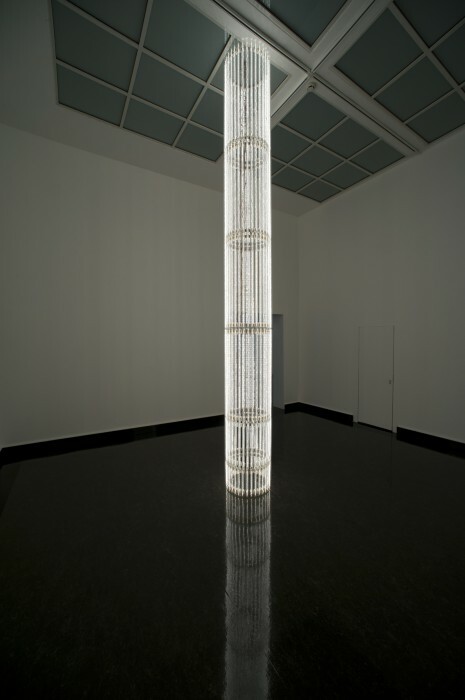 Cerith Wyn Evans creates exhibitions that are polyphonic in more than one sense. 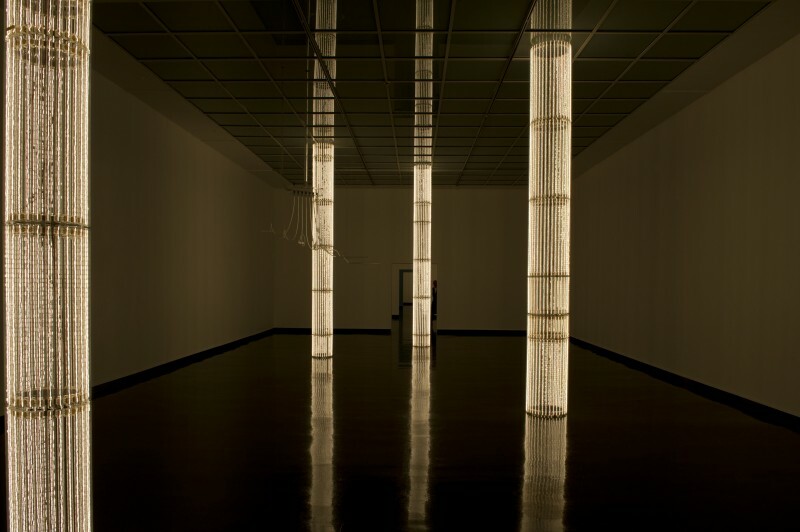 Materially and visually he makes use of polyphony as a deliberate strategy, where flashing lights, flickering slide projections or innumerable different sound sources help to ensure that several temporalities are played out in parallel in the space. At the same time, at another level of meaning a polyphony is played out among an overwhelming number of references, subjects and allusions. We are drawn into a world where Wyn Evans’ persuasive treatment of sources from literary, philosophical and musical history form a fulcrum for the experience of the works. 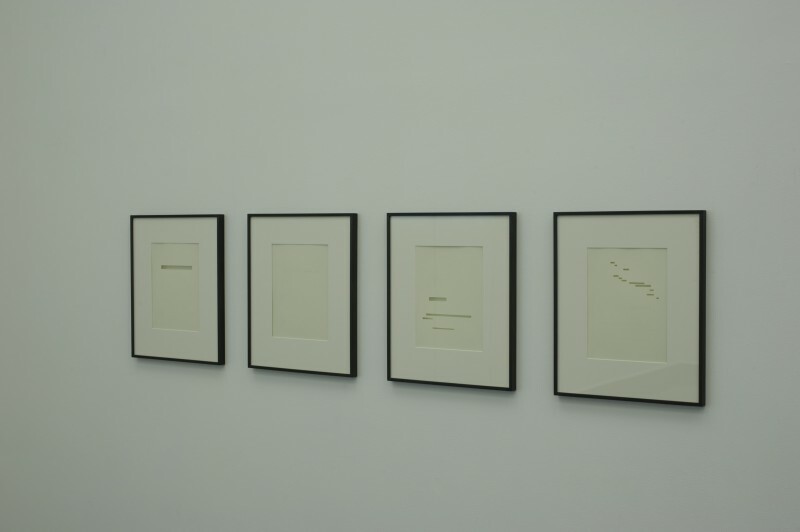 Nevertheless Wyn Evans’ use of quotations differs from most conventional appropriation strategies, and is often more complicating then explanatory. 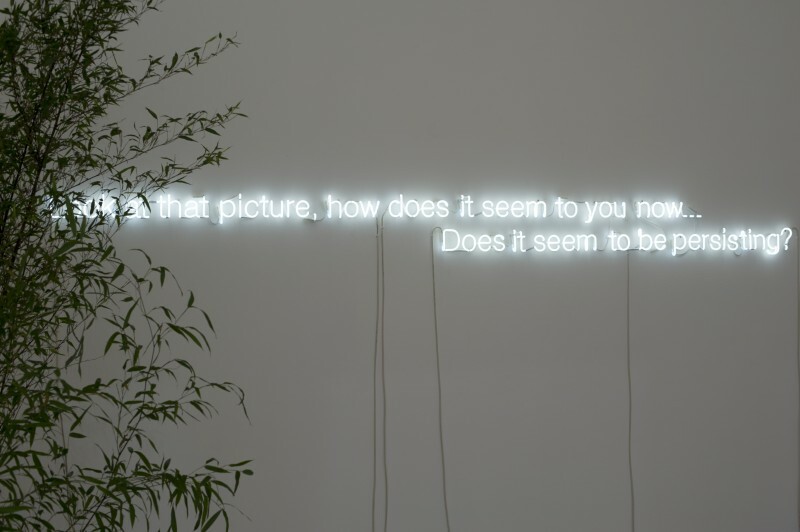 Just as the visual effects help to knock the solid and stable off balance, we are also forced to accept a certain sense of impossibility in response to our wish for immediacy and coherence in the many layers of meaning that can be read out of the works. 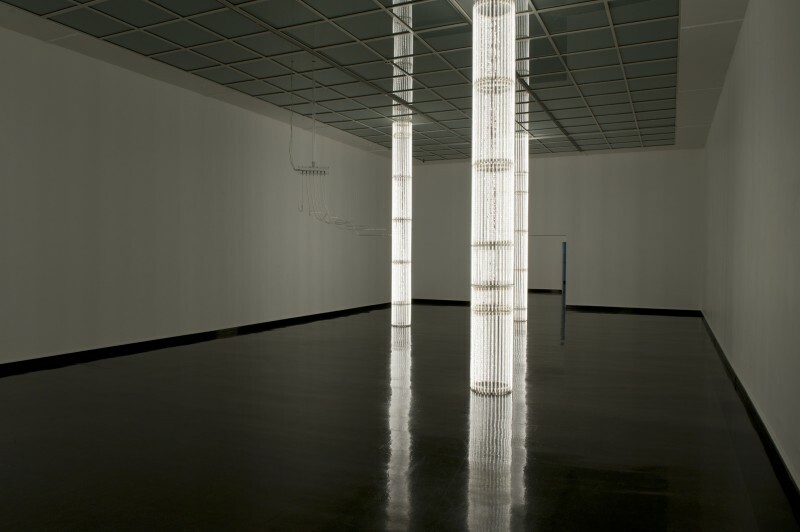 Cerith Wyn Evans (1958) was born in Wales. He lives and works in London. 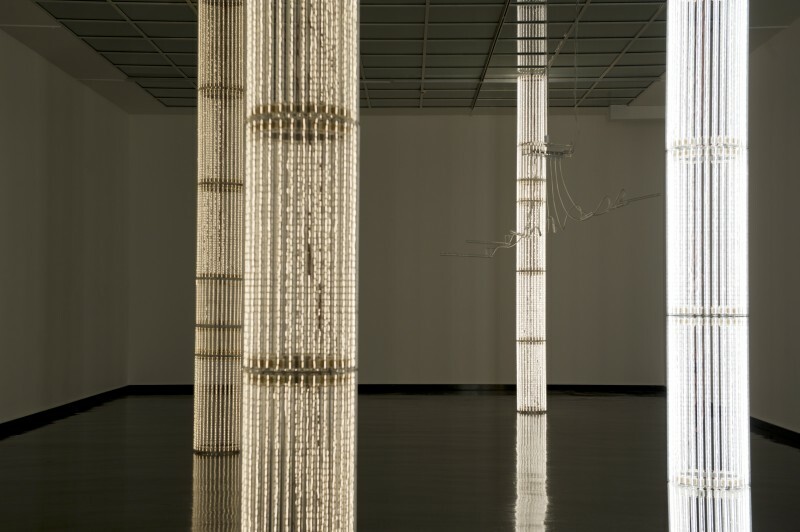 He has participated in a succession of group exhibitions such as the Venice Biennale (1995 and 2003), the Istanbul Biennial (2005) and Documenta 11 (2002). 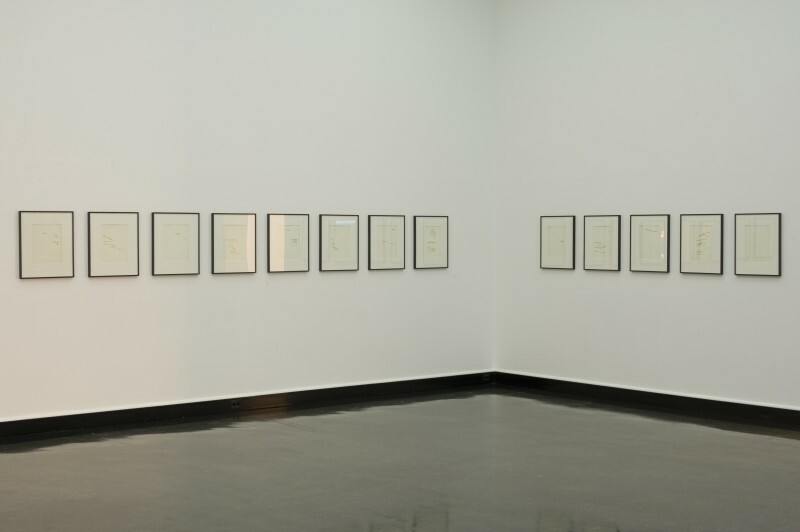 He has had solo shows at institutions including Frankfurter Kunstverein (2004), Kunsthaus Graz (2005), Musée d’Art moderne de la Ville de Paris (2006), MUSAC, Leon (2008) and Tramway, Glasgow (2009). 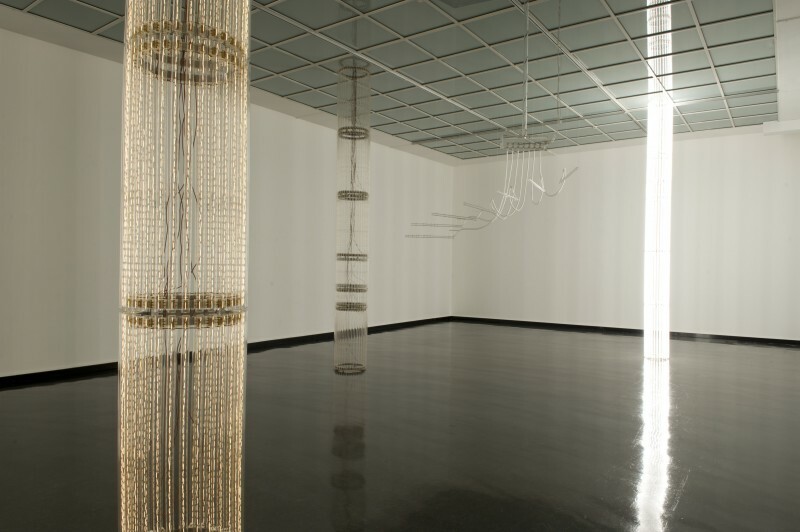 Images courtesy of Bergen Kunsthall. Photos by Thor Brodreskift.